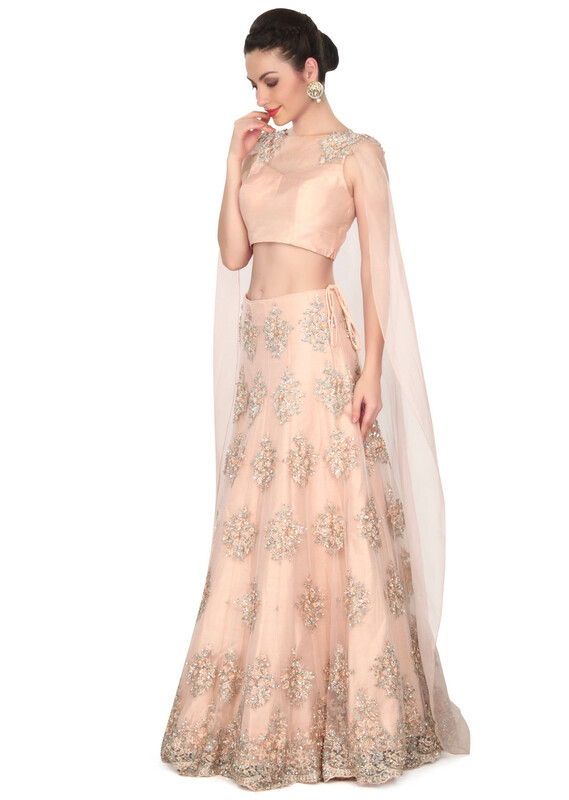 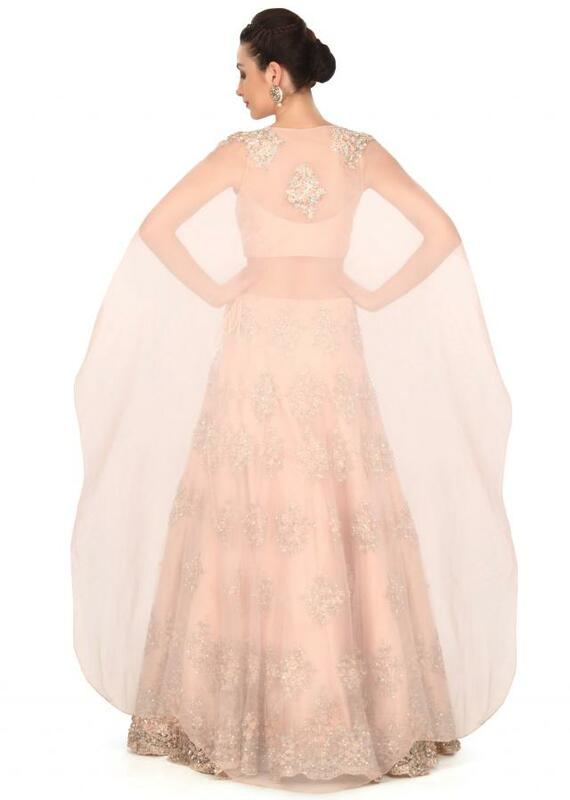 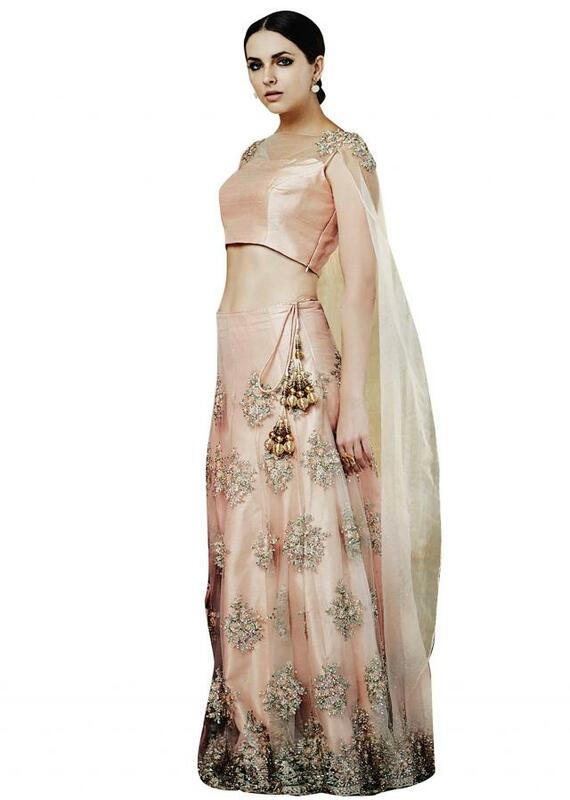 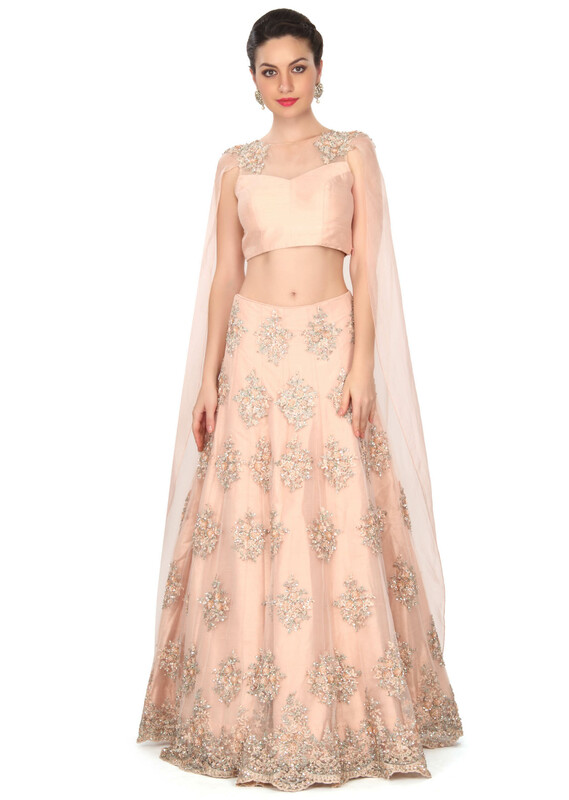 ‌Pink lehenga featuring in net with raw silk lining. Blouse is in raw silk with attached cape dupatta in tissue. 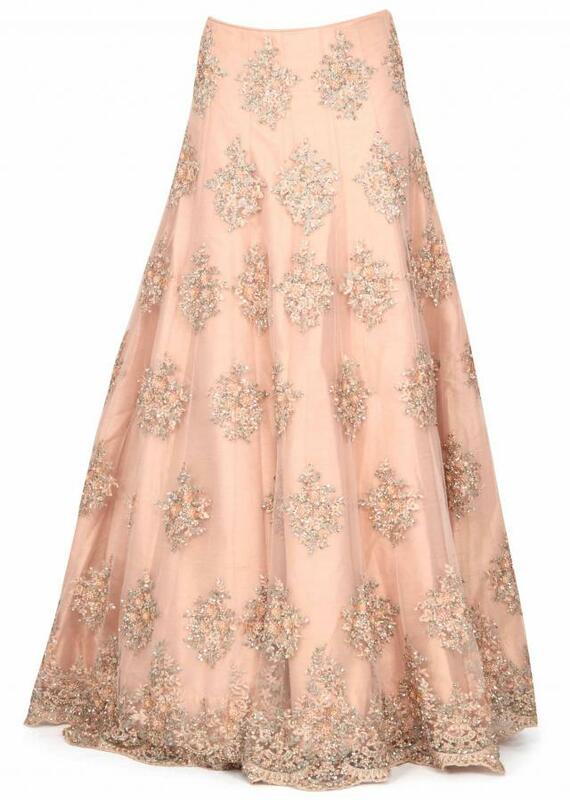 Its embroidered in pearl and sequin embroidered butti.